As a university, we see ourselves as part of society and actively seek contact and discourse with as many people as possible. Our events are aimed at a wide variety of target groups and demographics, and bring individuals with and without academic backgrounds together. Why does the ATM give out money? What actually happens in a court of law? Nemo & friends – Why won’t we be finding you much longer? Social isolation: Why does it happen? And the most important question: Why do we need universities? Campus WU is designed to be an open space for people to come together. The restaurants, shops, and grounds are open to the public, not just to students, faculty, and staff. To help emphasize this fact, WU holds a Summer Celebration in June for members of the WU community, corporate and government partners, friends of WU, and local residents. 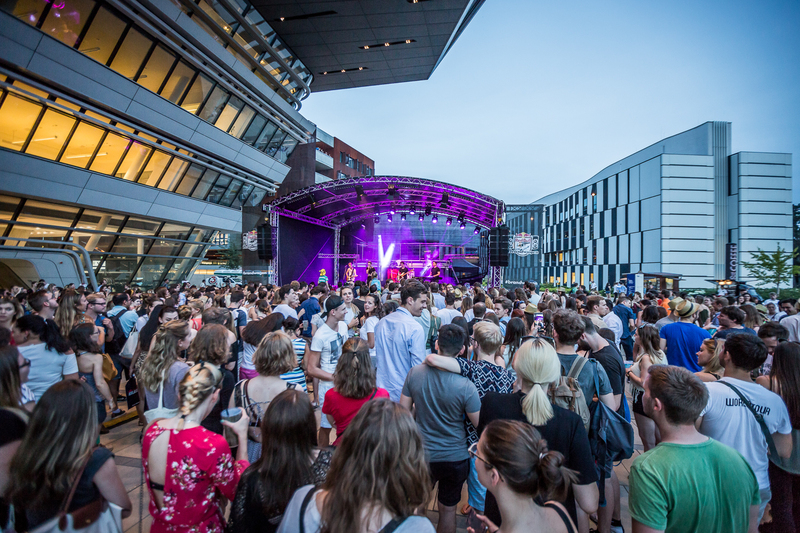 Around 6,000 visitors enjoyed the diverse 2017 program, which offered a street food market, programs for kids, a spectacular BMX show, and live performances by prominent musical acts. Can economic research be shown in a museum? Sure, why not? WU took part in the exhibition “handWERK. Tradiertes Können in der digitalen Welt” (handMADE. Traditional skills in a digital world) at the MAK Austrian Museum of Applied Arts in Vienna. In WU’s Live Lab at the exhibition, titled “People and Production,” visitors could take on the role of manufacturers or consumers, participate in small experiments, and reflect on their own views on production and consumption. The results of the experiments were put on display and discussed. Based on the resulting findings, the experimental questions were revised continuously. What we found was that participants came up with better, more carefully thought-out designs (holiday decorations, snow globes, birthday cards) when they were visible as the producer and valued as individuals. In a second experiment, we observed that information about the manufacturing process of a product has effects on how the product is experienced – jam, for example, tastes better all of a sudden if we know it’s handmade. WU sees itself as a knowledge hub, and we want to present the findings generated by our research to as large an audience as possible. For this reason, we launched the event series ‘WU matters. WU talks.’ in 2016: At panel discussions, round-table talks, and public lectures, WU’s researchers present the results of their work and discuss its impact on current events with prominent guests and the audience. The diverse mix of topics offered was very well received, and around 6,000 people attended the events in 2017. Corporate Social Responsibility: Ernst gemeintes Engagement oder PR-Gag? Phänomen Negativzinsen: Billiges Geld mit teuren Folgen? Wirtschaftspolitik in Österreich: Was überlebt den Wahlkampf? Beruf und andere Hobbys: Widerspruch, Ausgleich, Inspiration? Universities: Key to an open society, target of political hostility? Sind Österreicher/innen im internationalen Vergleich Finanzgenies? Can the skills needed to start a business be learned? The Playpark Sachsenplatz is a sandbox for young start-ups and future entrepreneurs, where they can find coaching, workshops, networking opportunities, and mentoring during the initial phases of finding and implementing their business ideas. The Playpark focuses mainly on social innovation, smart cities, and sustainability. The Regional Centre of Expertise for Sustainable Development Vienna (RCE Vienna) at WU is responsible for the concept, implementation, and management of the Playpark. This travel guide of a slightly different kind offers an overview of Vienna’s start-up landscape and an introduction to the city’s most important, exciting, and innovative companies. 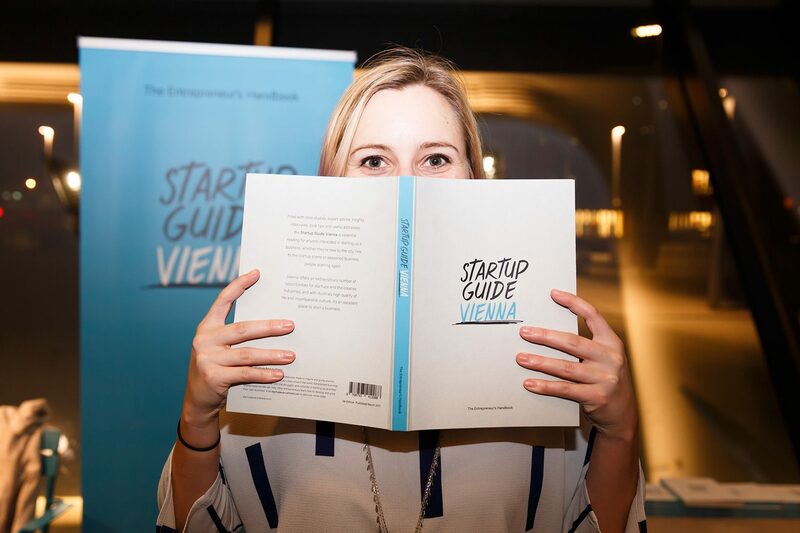 Published by the WU Entrepreneurship Center and the Vienna Strategy Summit, also hosted at WU, the guide also includes case studies and interviews with entrepreneurs as a source of inspiration for potential start-ups. Information on services for entrepreneurs, programs, and spaces provides additional valuable support for new business founders. Edeltraud Hanappi-Egger (WU Rector): Panel discussion – Why does the higher education sector need cooperation skills today? Rick McDonell (Institute for Austrian and International Tax Law): Breakout session – Distributed ledger technologies – A “silver bullet” for compliance and regulation? Jeffrey P. Owens (Institute for Austrian and International Tax Law): Breakout session – Tax havens: the beginning of a new era? 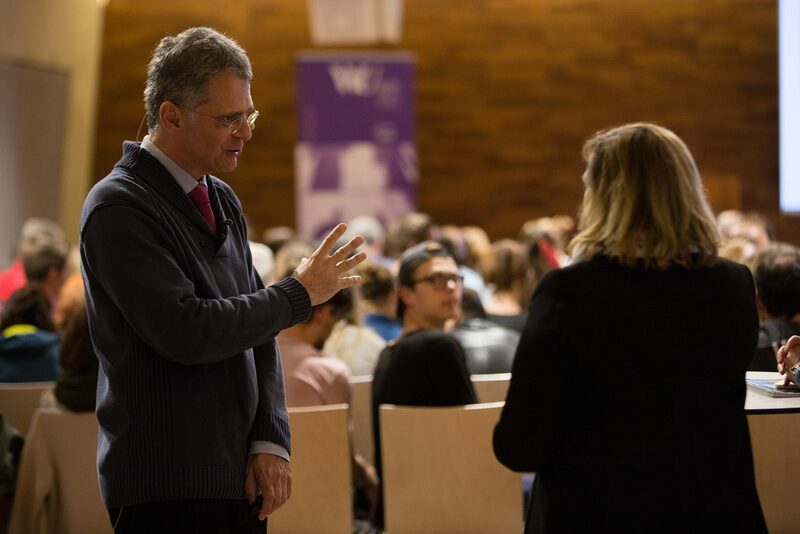 In 2018, WU will be commemorating the dire consequences of Austria’s 1938 Anschluss to Nazi Germany on its predecessor institution, the University of World Trade, with a series of different events, including panel discussions, exhibitions, and concerts. 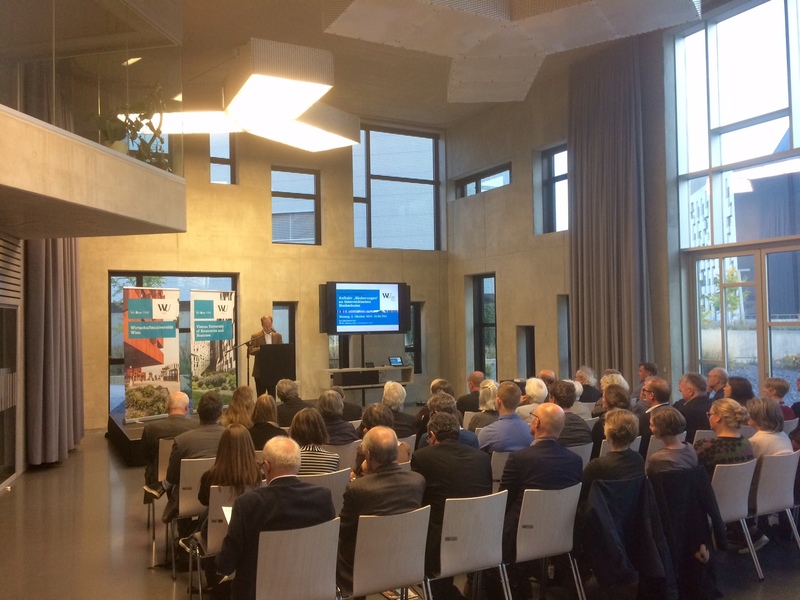 In October 2017, the Commemorative Year was opened at WU with a presentation of the book “‘Säuberungen’ an österreichischen Hochschulen 1934–1945. Voraussetzungen, Prozesse, Folgen,” edited by WU historian Johannes Koll. Since 2012, Koll has been investigating and documenting the expulsion of Jewish students, faculty, and staff from the University of World Trade during the Anschluss period. Austrofascism, National Socialism, and the denazification process that started after Austria’s liberation from Nazi rule – the various regime changes in the first half of the 20th century had far-reaching consequences for Austria’s universities. “Purges” were carried out among students and university staff to help to bring society in line with the positions of the regimes in power. The contributions presented in this volume take a close look at the conditions under which these political interventions were carried out, the way they were implemented, and the effects of the politically motivated changes to the faculty and the student population. The book provides an analysis of the developments at the University of World Trade and at other universities across Austria, and also includes an interview with a former Jewish student at the University of World Trade. The worldwide March for Science took place on April 22, 2017. This global event was held to demonstrate the important role of science for society. WU’s Rector’s Council encouraged the WU community to participate in the March for Science, and numerous WU researchers took active part in the demonstration.